The thing about Stephen King is that his novels have this eerie quality that only certain directors can pull off. For example, Stephen himself directed Maximum Overdrive, a movie based on his novel, with questionable results. Frank Darabont on the other hand nailed The Shawshank Redemption and The Green Mile and there was no reason why he shouldn’t nail this one too. And he did, he nailed it hard. 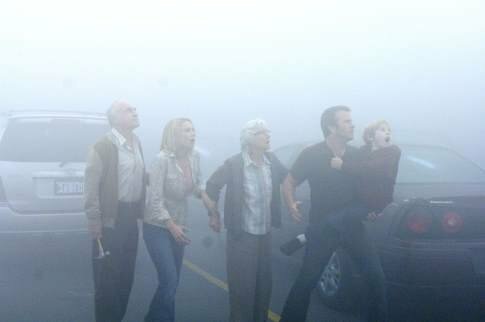 Starring Thomas Jane, walking and talking neo-noir guy, and a decent supporting cast, The Mist is one of those movies that I just loved at first viewing. I mean, what was there not to love: closed environment, imminent threat, real time flow and these are just the main elements. There’s also this Lovecraftian element present, with scientific military experiments gone awry. 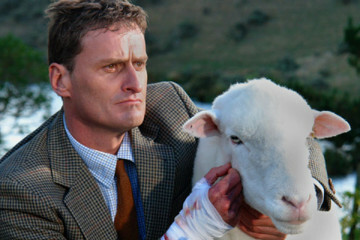 It adds that pizzazz to the whole story and that’s a good thing, especially if we consider that it’s not that original. After all this praise, it’s time to talk about the only flaw that this movie has and that’s originality of the main story. Obviously it’s almost nonexistent. An evil entity appears and forces people who ordinarily wouldn’t be together into a life or death situation. Of course, the answer is to work together and try to defeat this thing, same as in any other horror movie. Here, King makes a very important detour and takes the story into an area where the main story actually disappears. Issues regarding religion and herd mentality are something that should be discussed everywhere and especially during a cataclysmic event that threatens life of every citizen. Darabont did his thing, creating a very intense atmosphere and closed environment generated that sense of nowhere-to-run. 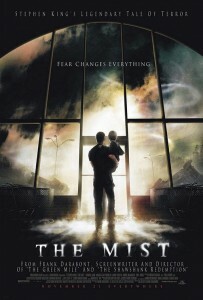 With impeccable pacing and decent special effects, The Mist is one of the best horror movies of this decade, so be sure to check it out. Fun Facts: Frank Darabont agreed to make the film with Dimension only under the condition that no matter what, they wouldn’t change the scripted ending. They agreed.